I’ve been trying to take it easy on my slightly inflamed elbow and wrist this week by not knitting, so I sewed a bit instead. That’s a Plantain Tee, which is a free pattern that’s been going around the interwebs. 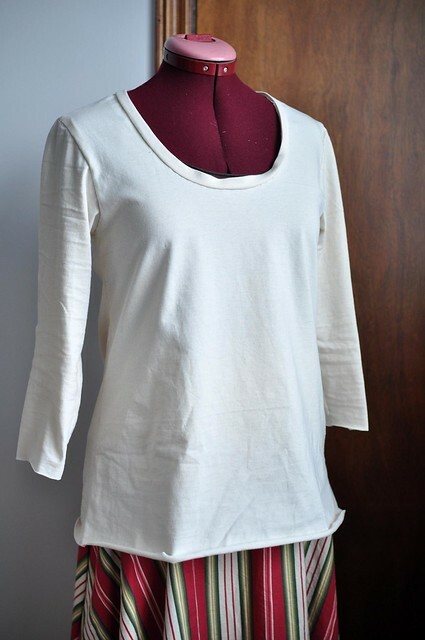 I used a plain organic cotton jersey that’s been in my fabric stash for years, and sewed it up by hand in an afternoon. I’m pretty proud that it looks like a shirt, but there a few problems with it! I didn’t finish the hems or neckband once I realized it was too small. The fabric I used isn’t stretchy enough, and I totally cut the wrong size (I made the 42). I do think if I’d made a couple sizes bigger it might be wearable, but I have issues with the armhole depth and sleeve cap. I do usually have trouble finding clothes with a shorter armhole, but this one goes a little too far! 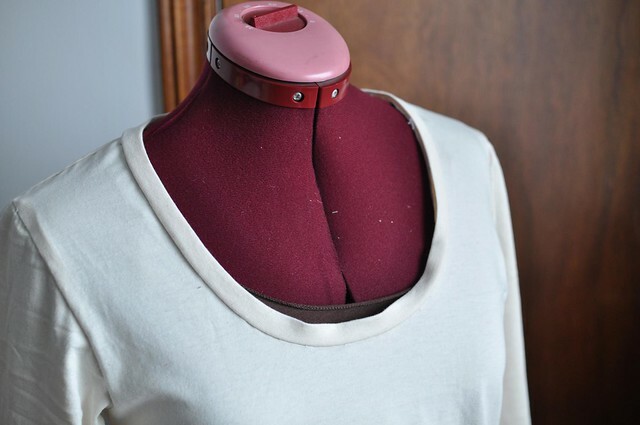 There’s bunching under the arm and across the bust, and I don’t think it’s just because it’s too small – I’ve seen the same issue in other finished ones. 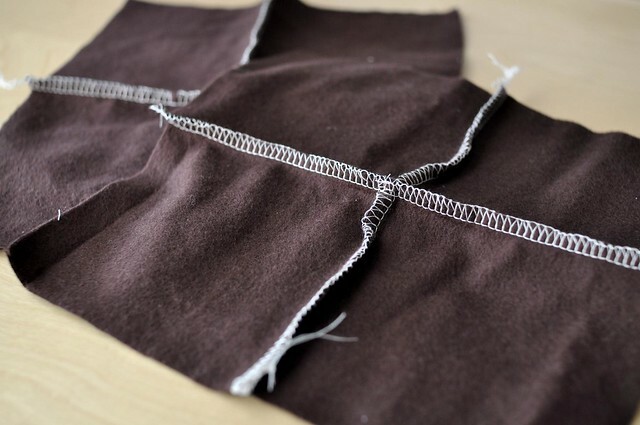 I get frustrated with sewing because of having to make the same exact thing over and over to get it right. I know the muslin is supposed to be a trial, where you adjust things before making the real one, but I don’t have to do that in knitting! Of course, this one would have taken much less time had I been using a machine, and then maybe I wouldn’t feel like it was a waste of time. Heeyyy check it out! I’ve never used a serger before but it really wasn’t too scary. I’ve ordered Cal’s book about drafting your own patterns and I have a nice big roll of paper from Ikea – could this be the beginning of a foray into sewing more clothes? Good for you for taking the leap and figuring out the serger! It’s not something I’ve ever tried, but my sister Gillian is pretty obsessed with hers. She’s got a whole series on her blog about “lazy tips for sewing knits” which aren’t so much lazy as really smart things that no one ever bothered to tell you. You might enjoy reading them here: http://crafting-a-rainbow.tumblr.com/tagged/lazytips. 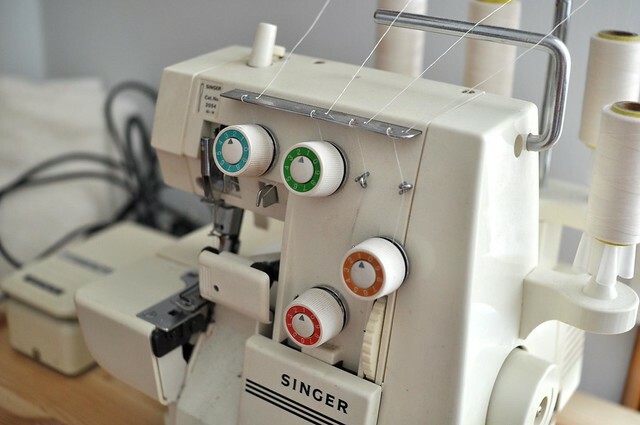 I’m so curious about sergers! 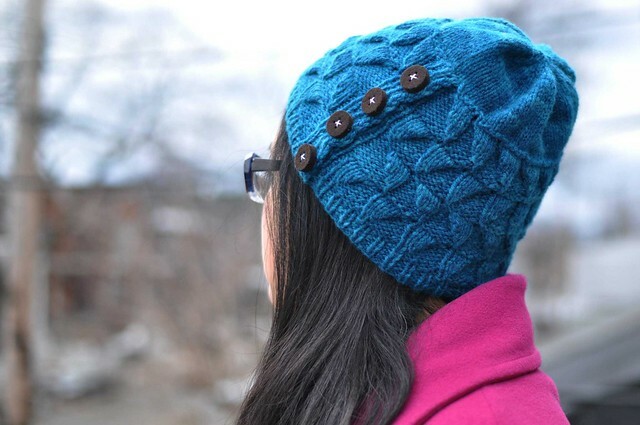 I’m such a newbie at sewing in general, but I do aspire to sew with knits, since that’s what I prefer to wear.